Lead flashing is just as important to the roof as the slates and tiles themselves! Primarily designed to keep out rain water, it weatherproofs the corners, edges and valleys of your roof, keeping you safe and dry inside. You will find lead flashing all over the roof, from the chimney stack, box gutter, valleys, and any abutment on your roof (which just basically means any time a slant meets a wall). There are other alternatives out there such as zinc or aluminium, but we find that lead is still by far the best material for flashing. It’s malleable, you can weld to it and it will last you a very long time! On top of that, it is much more pleasing on the eye compared to it’s competitors. It’s really important to correctly treat the lead with the right type of oils which will stop the colour running out of it and so prevent staining of the slates or tiles. Application of this oil will also help in prolonging the lead. Contact us today to get some honest advice from a roofer near you! What are lead flashing codes? You may have heard that there are many different types and grades of lead flashing, and there are! The different codes are essentially different weights and thicknesses of lead, which are used for different areas around the roof. Cover flashings are usually done with a code 4 and valleys tend to use a code 5, whereas something like a soaker would be a code 3. It’s so important to use a trusted and recommended roofing contractors to carry out the works, which is where we come in! 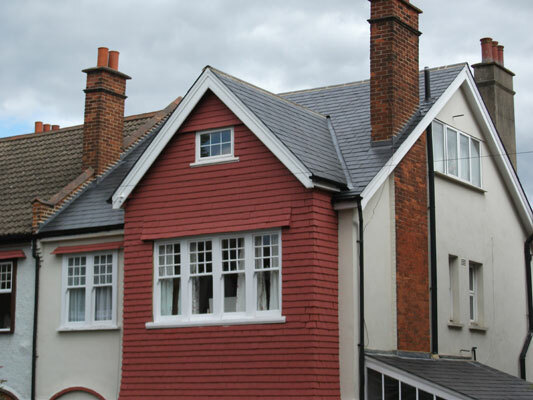 Atlas Roofing Construction has been carrying out roofing services in Croydon & Surrey since 1986, so get in touch today for your free estimate.